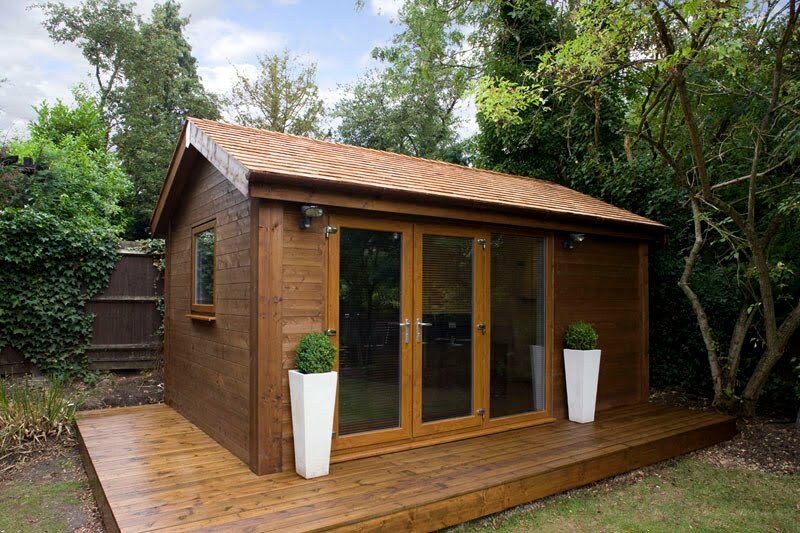 Shedworking reader Jon Busby has a question for you knowledgeable folk: do you have any pointers about different and original render ideas for a garden office with a breeze block base? Jon say he is trying to find ideas that will make it look more organic or architectural. Please leave your suggestions in the comment box below. Clad with shingles, either cedar or reclaimed rubber. Corrugated steel for that industrial look. Or perhaps even wattle and daub? Check out the eco sheds on the readersheds site for more organic approaches.